Welcome to Aquarela do Leme! 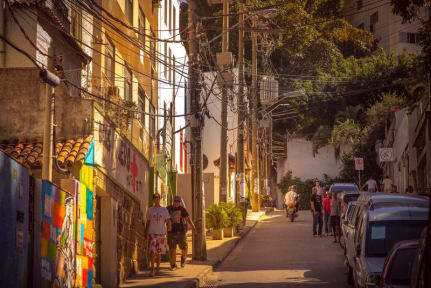 An authentic experience in Leme with one foot in the sparkling, colourful and pacified favela of Babilonia and one foot on the famous beach of Copacabana. Leme is a safe and charming neighbourhood with easy access to Rio´s main sights. Aquarela do Leme is a brand new hostel / pousada designed by travellers for travellers ready to experience the happy and relaxed carioca life style. All rooms have a balcony with a stunning view over the city, jungle and ocean. In the morning enjoy our delicious breakfast with hot coffee, homemade bread, cake & yougurt and fresh tropical fruits. In the evening chill out in our cosy lounge or take in the sunset from our amazing roof top terrace. …this is what makes Aquarela do Leme and your stay with us unique! 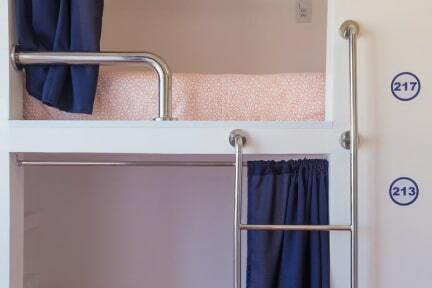 The property offers accommodations for all, private rooms and dorms up to 10 people. Sensacional! Melhor hostel do Rio de Janeiro. As instalações são muito boas, novas, com um design moderno e bonito, os banheiros são ótimos, as camas são confortáveis e garantem privacidade. O hostel todo é super aconchegante e limpo, tem um terraço muito gostoso com uma vista linda e o café da manhã é ótimo. O melhor de tudo são os donos e o staff, todos muito atenciosos, muito legais e sempre prontos para ajudar no que for preciso. A vizinhança é tranquila. Amei me hospedar nesse hostel! It was awesome to be there! The breakfast is great! The staff is very gentle and the accomodations was much more than I expected. Hostel com um clima agradável, tudo lindo e limpo! Os hóspedes super simpáticos, melhor réveillon que passei em hostel.